What is the SEO or the Search Engine Optimization? Why is it important for your business' online marketing? What are the SEO challenges and what are the 10 main factors every business owner should know? Is it essential to make changes in your webpage in order to be search engine optimized? Who can help you out? If you’re a small business owner looking to get results from your online marketing, you’re probably considering hiring a search engine optimisation specialist or marketing agency to help you out. Search engine optimisation or SEO is a way of improving your website so that is it easy to find online, easy for users to navigate and offers information and actions to help site visitors solve their questions or achieve an outcome (such as buy a product). SEO is important for your online marketing as, without it, your potential customers may have trouble finding your website and may be interacting with your competitors instead. Finding the right SEO provider can be a challenge and if you don’t know much about online marketing the chances are you won’t know a good SEO provider from a bad one, or what to expect from their services. If you’re planning to hire an SEO provider to benefit your small business marketing, here are 10 factors to understand to help make your search easier. 1.There are No Shortcuts When it comes to SEO, there are no tricks or secret tactics that your SEO provider can use that will make your site quickly rank at number one on search engine results pages. Long-term favourable results rely on the implementation of recommended best practices to make your website search friendly and easy for visitors to use. If you have a quality website which provides a good experience to site visitors and is technically sound you will see the benefits of higher ranking in search results and more visitors delivered to your site. This takes time to achieve and involves first analysing and making improvements to your website before you will see any potential benefit. It can take between six and 12 months before changes start to have a positive impact. However, once you have optimised your website and gained some traction in search, these organic (unpaid) results will continue to drive benefits for your site. Impatient business owners may be tempted to use short term tactics known as black hat SEO techniques to try to trick search engines to rank their site higher, faster. This is doomed to failure as search engines such as Google now have sophisticated technology to identify and deal with black hat tactics. Failing to follow Google’s quality guidelines will result in your website being penalised through demotion in rank, making it less visible to searchers. In extreme cases, your site may be taken out of Google’s index all together. Takeaway: Plan for an extended period of groundwork before expecting results. [Source: Purchased deposit photos https://depositphotos.com/search/seo.html?qview=132975938] 2. Prices Vary, Avoid ‘Cheap’ Packages As a small business owner, tight control of the budget is essential to your success. But when it comes to the cost of SEO, ‘cheap’ can end up costing you dearly. If you don’t have time to research or understand what’s involved in SEO, your only focus may be the price. Unfortunately, that may not provide the right SEO strategy for your business or put you in the hands of the right people to maximise the chance of returns. A key principle to understand is there are no guarantees you will get results and the likelihood of your success is very much dependent on the strategy and level of SEO experience you employ. A professional SEO provider with significant experience and history of proven results will charge you a competitive rate for their time. When hiring, the bottom line is you are paying for time spent to manage your SEO campaigns. In general, the time you need and therefore the price you pay will depend on your business goals, the level of online competition for your industry and how fast you want to see results. Keep in mind: If you want relatively fast results will you need to pay for more time If you want to target competitive keywords and markets you will need a bigger budget If you want to beat your competitors, you will likely need to invest more than they are The long-term success of your campaigns will depend on the quality of your SEO SEO takes time and professional time costs money. The average cost for reputable SEO in Australia (agency) is between $150 - $200 per hour (before GST). There are many compelling reasons to avoid low cost SEO packages but essentially cheap SEO means you are getting less time and shortcuts are often taken to keep you happy. At low price points you may find your work: Is being outsourced overseas at a cheaper rate to make a profit for the provider Comprises black hat strategies for quick results (often followed by a penalty which is at least twice as expensive to fix) Not suited to your business or goals, but follows set activities, and the provider expects that’s you won’t stay with them for a long period as they rely on volume of sales at a ‘cheap’ price point to remain in business Chose the wrong service provider and your cheap package could end up costing thousands of dollars with very little to show for it. Takeaway: Be realistic about your SEO budget. You will need to spend enough money relative to your revenue to reach your goals and be competitive in your industry. For most small businesses with medium competition focusing on a specifically defined market expect to pay at least $1500 to $2000 per month on SEO to achieve results. If this is too high, look for a reputable freelancer rather than an agency. [Source: Created by Leah English] 3. Open Communication is Essential Outsourcing SEO activities is ideal for small business owners who can’t afford to hire an inhouse marketing team. However, this doesn’t mean that you should abandon your SEO provider and leave them to their own devices. Your SEO provider should ideally become an extension of your business and regularly call on you for information and feedback. You should be asked for information related to a variety of aspects of your business, not just your products and services. You should also be asked for feedback on any work completed. This may involve approval of blog articles if content marketing is a part of your SEO strategy. Timely completion of collaborative tasks is one key to SEO success. It is also important to notify your SEO provider if planning any changes to your website. Your website is the heart of your SEO strategy and even the smallest change could potentially undo months of hard work. If you have an independent web developer, your SEO provider should be able to liaise with them directly and ensure any changes that are made are done in accordance with SEO best practices. Takeaway: You will need to be involved with your web marketing strategy through responding to questions, providing information and approving projects and campaigns in a timely fashion. Your SEO provider won’t appreciate attempts to micromanage, but they should regularly liaise with you and keep you up to date with their activities and results. [Source: Purchased deposit photos https://depositphotos.com/stock-photos/collaborate-computer-marketing.html?qview=195449496] 4. SEO Works Best as Part of a Holistic Marketing Strategy When integrated with a holistic marketing strategy, SEO has significantly greater potential to generate the return on investment. Your SEO strategy will cover a wide variety of areas relating to your website, such as technical, onsite and offsite optimisation. However, integrating SEO into your social media, email marketing and paid search strategies can help to magnify results and further benefit your website. This is especially true for content marketing. A great way to boost your SEO strategy is to share the articles that your SEO provider creates for you. By sharing your content on social media and linking to it in email marketing campaigns you are growing your organic audience, directing them to your website, and amplifying the impact of your SEO strategy. While your website is your strongest marketing asset, your opportunity for success with it is only as high as the quality of your business products and services. SEO can’t make up for poor business or marketing practices. 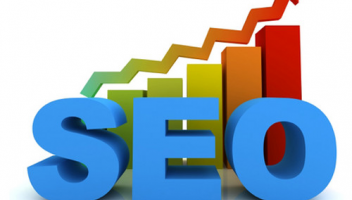 Before seeking out an SEO provider, evaluate the success of your current marketing strategy. If it needs improvement, look for a provider with relevant experience who will be able to help you integrate and improve both your SEO and general marketing strategies. Takeaway: Understand how your online marketing will work within your wider marketing strategy and ensure a consistent approach. 5. Be Prepared to Make Changes to Your Website When your SEO provider begins optimising your website they may conduct a technical audit as well as assess the user experience of your site. The results of this evaluation could mean you need to make a major design, structural and technical changes to your site. It is important to implement as many of the recommended changes as possible to ensure your SEO strategy is built on a solid foundation. These changes may require the expertise of a web developer. If you don’t have a web developer your SEO specialist should be able to recommend one fit for your needs. This will be a separate cost and is important to factor in when evaluating how much you’re able to spend on SEO. Once initial changes are made to your website, be prepared for your SEO provider to request smaller, regular changes over time. SEO is not a set and forget tactic, it requires regular tweaking and adjustments to strategy to achieve success. Takeaway: SEO is dynamic and frequent changes to your website and tweaks to your campaigns will be needed to achieve and maintain strong results. [Source: Source: Purchased deposit photos https://depositphotos.com/stock-photos/website-ocnstruction.html?qview=12588017] 6. 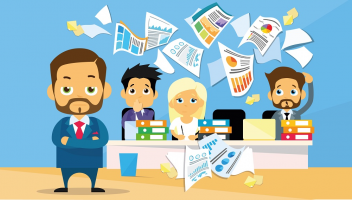 There are Pros and Cons to Hiring an Agency Versus a Freelancer Choosing between a marketing agency, specialist SEO agency or freelancer will depend on your budget, business size and business goals. While all options have pros and cons, your final decision should ultimately rest on the ability of the chosen party to assist in meeting your business goals. An agency comes with benefits. If the agency is a specialist SEO agency, they will likely employ a team of established professionals who have an in-depth understanding of online marketing practices. This provides a resource for you to call if there is ever an issue with your website. Or, if your account manager is unexpectedly unavailable, you can be assured there will always be someone within the agency to help you. Freelancers are often cheaper when compared to an agency. If you have a micro business or don’t have the budget to support a fully integrated SEO strategy, this might be the option for you. There are some talented SEO freelancers in Australia, however, it is important to keep in mind that they won’t have the same resources as an agency. Additionally, if they suddenly become unavailable or slip behind with work it could put your SEO at risk. Takeaway: Your choice of SEO provider should reflect your budget, business size and marketing goals. 7. Experience Matters When researching potential providers check their team pages and see what kind of experience their employees have. These employees will likely be working on your account so it’s important that you are confident in their ability to achieve results for your business. When meeting with potential providers ask for case studies on current and previous clients. Evidence that this provider can consistently achieve positive results for clients is a good indication that they will be able to do the same for your business. The SEO and online marketing landscape is constantly changing. 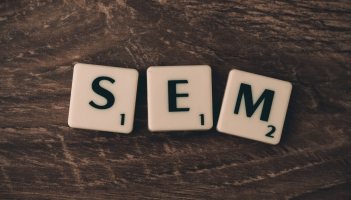 It is important that your SEO provider shows an understanding of current trends as well as a commitment to ongoing learning and developing to sustain positive results. If you are looking for an SEO provider who also offers AdWords services, look for the Google Premier Partner badge. To become a Google Premier Partner an agency must demonstrate advanced AdWords knowledge, meet spend requirements, deliver agency and client revenue growth and preserve a satisfied client base. The badge is extra piece of mind that you have Google trained and qualified specialists working to grow your business. Takeaway: Do your research, check the qualifications of the people who will be working on your SEO. 8. Position One Rankings are Not Guaranteed Reputable SEO providers don’t promise search engine rankings because it’s impossible to determine the potential of a site to rank within a set period. Even Google advises to steer clear of providers that make such claims. Although rankings are one metric that can help gauge the success of your SEO campaign, it is important not to place too much focus on them. Your overall goals should be to build targeted traffic to your site, increase brand awareness and see a return on investment. A position one ranking for a keyword that does not represent what your potential customers are searching for will have little impact on revenue for your business. Relevant keywords put your business in front of a targeted audience and build awareness of your brand, increasing the revenue potential of your site. Takeaway: Don’t focus on keyword rankings as a sole measure of your online marketing success. 9. All Activity is Measurable A major benefit of SEO is the ability to measure and collect data about activity on your website and use that information to help shape your business tactics. Your SEO provider will use tools such as Google Analytics to gather information about people who visit your website, how long they stay, what pages they visit and what actions they perform. Completing set actions (such as a purchase or filling out a form) is called a conversion. These conversions can be assigned a value based on the likely revenue they will yield for your business. Regular reporting from your SEO provider should demonstrate how SEO activities are helping to drive conversions and what value they are having for your business You should work with your SEO provider to set goals that equate to real value for your business rather than vanity metrics. Rather than obsessing over keyword rankings, your SEO should focus on the conversion rate of users or the percentage increase of organic visitors to your website. It is reasonable to expect regular reports. An SEO provider who withholds results or tries to confuse you with vanity metrics and industry jargon should be avoided. Takeaway: Ask about regular reporting schedules and what measurements your SEO provider will typically provide in their reporting data. [Source: Purchased deposit photos https://depositphotos.com/stock-photos/analytics-st60.html?qview=160060756] 10. Content Marketing and SEO Go Hand in Hand SEO goes beyond optimising your website and building links. There are many techniques an SEO provider could employ to improve your online presence and meet your business goals. Content marketing is the process of creating engaging high-value content that will drive traffic to your website and encourage customer action. Content marketing involves creating onsite content (content found on your website and blog) as well as offsite content (placed on other people’s blogs or locations other than your website). Offsite content can include relevant and valuable blog articles written by your SEO and outreached to relevant sites. The article will ideally contain a link back to your site, increasing the authority of your site in the eyes of the search engines. The content your SEO creates for you can also serve as content to share on social media and in marketing emails. Linking these posts/emails encourages referral traffic to your website. Content marketing can also increase brand awareness and help develop a loyal customer base. If link building is a part of your SEO strategy, content marketing or ‘natural’ editorial links are the best way to go. Avoid non-editorial links and building link networks to spam and low value sites as this can result in your site being penalised by Google. Takeaway: Producing engaging, high quality content is a key component of most successful online marketing campaigns. You will likely need a content marketing strategy as part of your SEO efforts and to help achieve your online marketing goals. 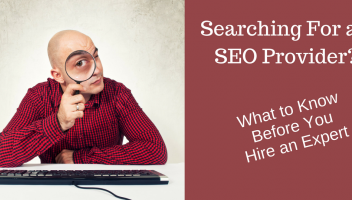 Bonus: Google’s Advice on How to Hire a Good SEO How Will You Choose Your SEO Provider? At the end of the day, the key to picking the right SEO provider lies in their ability to work collaboratively with your business to help achieve realistic business goals. By keeping these 10 things in mind, as well as researching some questions to ask potential providers, you’re giving your business the best chance of online success. SEO is one of the most important factors to consider when you start a business blog. Without SEO, then no matter how good your content is, your audience may simply not find it. There’s no way of avoiding the importance of SEO, and the best thing to do for a business blog is figure out the how to optimize your content as soon as you start writing. Your blog will be much more successful if you start by including all necessary tools to fuel SEO, in order to build up your audience and your reach as quickly as possible. 1. Always Remember Keywords Keywords are one of the most important aspects of SEO. Most successful bloggers would recommend using your keywords throughout the post. They should constitute between 1% and 3% of your written content, and search engines seem to pick them up more when they’re placed in the title, subheadings, or introductions. One thing that should be avoided at all costs is the urge to stuff your content with keywords – search engines actively dislike this, as it makes content appear fake. 2. Make The Most Of Images Images are great for a variety of reasons. First, they are great to make your content visually appealing, draw in the reader, and help keep your content interesting. However, images can also be great for SEO – as it’s possible to manually alter the alt text and title tags on images. This means that when someone searches for your keywords through an engine like Google Images, your page will still be highly ranked. 3. Delegate Writing and Editing It’s very easy to underestimate how time-consuming writing content for marketing is. Most businesses hire people with specific skillsets that don’t necessarily include creative writing. With most aspects of business, when there are limited resources, that part of the business gets outsourced. There’s no reason to change this pattern when it comes to writing or editing your content for marketing. If you want to hire someone in a traditional way, it’s possible to post an ad and interview potential candidates on sites like Upwork or Freelancer. There are also services that provide fast and efficient means to secure a writer. For example any assignment writing service offer the chance to simply select the services you want, and they will then be assigned to an expert. 4. 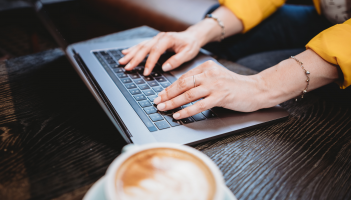 Utilize Online Editing Tools There are several services available that can help improve your writing and strengthen your content before you post it online. A blog post should be at least a thousand words long in order to be effective. You can monitor this with Easy Word Count, and also review hundreds of online courses, videos, and classes with Australian Help 5. Litter Your Content With Links When content marketing, search engines will rank pages that include links, both internal and external, higher than other posts. This is because links imply that your text is researched and backed up by other sources. These sources could come from within your own website, and simply encourage your reader to visit more than one page, or simply link them to an expert to prove what you’re saying is true. Either way, search engines love this. 6. Offer Subscription There are certain logos that people will look for when they want to subscribe to a blog. There are several aggregators that are popular, so it’s worth adding all of these to your blog. Make subscription as easy as possible. 7. Make Your Snippets Enticing When you use a snippet for your RSS feed, it needs to be effective. You can’t offer all of the information your reader could be looking for, or they won’t need to click on the link and read the full post. The more clicks you get, the better your SEO will be – and this is best accomplished with an interesting snippet. There’s always the option to make your snippet the first few words of your article, however, it can be much better to include a highlight from the post instead. SEO is complex, but it’s important. Posting often, posting original and high-quality content, and including the tips above can massively impact the success of your blog. AdWords and Analytics - Like Peas in a Pod! On its own, AdWords is a fantastic marketing tool to drive relevant traffic to your website. It allows you to choose which keywords are most important to your marketing objectives and letting you bid what you want in order to bring people in. On the other side of the coin, on its own, Analytics is a fantastic tool for shining a light on your traffic and how users behave on your website. It allows you to see important metrics which you can compare and contrast to better understand who your customers are. Imagine what you can achieve when you link them together?! 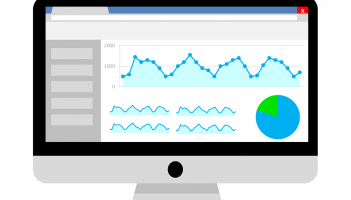 In this article, I will share some insights into best practices and what exactly you can achieve when you connect Analytics to AdWords. Linking up your AdWords to Analytics is very easy and can maximise not only your AdWords traffic, but also your website performance. Importing goals from Analytics: Setting up goals in Analytics is one of the first and most important steps to success in a digital marketing campaign. Analytics allows you to set up all kinds of goals very quickly and easily. When setting up your goals, you’ll need to recognise what is important in relation to your marketing objectives. More often than not, it will be a sale a contact enquiry or a phone call, however it doesn’t always have to be. If you have brochures on your site to download and it shows that someone is engaged, you can set it as a goal. If you have a video which is key to explaining your product or service, you can set it as a goal. Almost anything can be set up as a goal on your website and can give you very quick and easy insight into how your customers are completing key actions on your site. Once you have your goals set up, it’s very easy to import them into your AdWords campaign via the conversion tab. In doing this you can actually trace the conversion back to the individual keyword or search query which lead the customer to your site and with that you can perform in depth analysis very quickly and easily. Creating custom Remarketing Lists: Google Analytics allows you to easily segment visitors to your website and in return, you can create an audience from that segment to remarket to. What this means is that you can understand your customer, gain insight into how they behave, identify which behaviours you want to see more of, and create a segment out of those users. From there, you are able to easily import your audience into AdWords in order to remarket to them. Let’s say you have set up a goal and you identify that 80% of people who reach your goal page don’t actually complete your goal. What analytics remarketing allows you to do is funnel each user who makes it to this page but doesn’t convert into a new audience list. Linking analytics and AdWords allows you to import this segment into AdWords and from there you can remarket to this audience segment with a message encouraging them to come back and complete that final action with some form of incentive like a discount code or something! Using secondary dimensions in Analytics: Secondary dimensions are a tool in Analytics which gives you further insight into traffic based on a variable metric that you have control of. In simple terms, it lets you drill down further than you ordinarily could in order to find out more about your customers. An example could be looking at keyword campaign information within analytics. You’re able to see the number of clicks on that keyword, the number of impressions, the click through rate, its conversion rate, as well as the bounce rate, time on page and more. Adding a secondary dimension to this data set allows you to see something such as the search term that the user typed into Google in order to bring them to the page. This opens up a whole new world of possibilities! Now we can see the bounce rate/time on page/pages per session of not only the keyword, but also the search term! It might not sound that exciting, but if you’re running a Google shopping campaign for example, this tool will be invaluable. There are countless other great things you can set up when you link AdWords that I could probably write a book! In short, in linking AdWords and analytics, you open the door to a whole new world of data analysis. The more you know about your campaign and your customers, the better you can target them and grow a campaign that fits into their buying habits/cycles. Its at this point that your campaigns will begin to return better than ever before! The success of a business is all about reaching out as many potential customers as possible in a highly impressive way. Most businesses are nowadays run online rather offline. What the customers expect on the one hand and what businesses do to promote their products and services on the other hand have evolved over time and have become highly sophisticated these days. The role played by the digital media and world wide web in promoting businesses is unparalleled. Therefore, every business desirous of success needs to do two things at once namely creating a strong, unique and appealing visual identity for the products and optimizing their websites in order to reach out a huge mass of customers. With these twin ventures, especially small businesses and start ups require the professional assistance of designing companies. In the first place, small businesses need to create a stunning kind of visual identity to their products and services. This is best done by having a powerful logo that speaks for the firm in wonderful terms. In creating your logo, you need to take care of the existing popular trends so that you are able to stay in the line and impress people s they are on the move coming across your products and services. In this regard, the experience of accomplished designing firms shall prove to be a great advantage for you. Find the right kind of company and entrust your logo designing to them so that they do a good job facilitated by their vast experience and expertise. In the second place, go for a professionally designed website that speaks volumes about your business in a nut shell. With regard to the layout of the pages, the kind of content you make and the features you provide in the site must be extremely good in a way alluring the visitors who land on the page. While designing your website plays a significant role in promoting business, the other more important task is looking for appropriate ways to promote your website. This is best done through optimizing your website to rank high in the search engines. This is again a highly professional task that can be achieved to perfection only by competent firms that have a strong expertise in the arena, knowledge about the evolving trends about search engines and an accomplished experience in rendering SEO services to a rage of businesses. SEO is a highly comprehensive task. Promoting your site among the search engines needs to be done with a high degree of professionalism combined with the knowledge of the latest paradigms evolved by search engines from time to time. SEO is not actually a single task, rather it refers to a set of tasks that give a holistic treatment to your website giving it a new facelift and also revamping all the features in tune with achieving the SEO objectives. Evolving businesses need to understand the necessity of optimizing their sites by partnering with the right kind of firm. The small investment you are likely to make in these lines shall go a long way in bringing your more sales. As a business owner, your main goal is to stay afloat and keep your business two steps ahead from competition. That fact alone is enough to make SEO important but it is not the only reason why SEO is so important. SEO simply means making it possible for prospective customers to find information about your business online, either by searching specifically for your enterprise or for any businesses that offer similar products and services. Your clients may be interested in finding more information about your business apart from your business name. For instance, your potential customers may want to know your mobile number, address, the type of your business, operation time, direction, and the different brands available. SEO help in providing this type information to the customers through the Search Engine Results Pages (SERPs). So how important is SEO? Take a look Popularity SEO boosts your brand popularity within the city you are located, the country or even the state where you are located. The more popular you are the more traffic you should expect and this is one of the greatest benefits of SEO services. You basically increase footfalls to your office or retail outlet. Search engine optimization has created a number of benefits to businesses, especially to small businesses that are trying to gain popularity in the market. 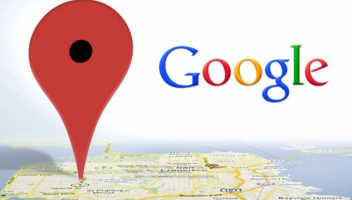 Your business can be known in the market locally and internationally using search engines like Google+ Local, Google places Bing Local, and other local directory listings. These search engines can promote business in a specific region, town or city and ensure that customers find local business information, products and services faster. Listing at Search Engines SEO is important for business owners because it's the best way to get listed in search engines like Bing, Yahoo, Google and many others with a negligible market share. For instance, if you run a hotel business, then you are better off being listed because it is only through SEO that you manage to attract customers and offer them more details on how to find you even though you make it possible for them to place bookings online. The reason you need that to happen as a business owner is so that when a person is looking for something in your area, what do you think they do? If you haven't guessed it, they search online for what they're looking for. The most relevant websites are what the search engines try to give them first. SEO is the quickest and at the same time best way to optimize your website to become more relevant. Build Customer Loyalty When you optimize your site, you manage to build trust among local customers, and they also become very familiar with your brand. Nothing works better in fetching loyal customers than trust and this is exactly what you will get when you optimize your website for search engines. Reduced competition Local SEO saves you from the unnecessary competition. Without it, you would have to fight for the masses with the rest of the companies or businesses across the globe. But when you embrace local SEO, you know that the competition is greatly reduced. You just need to put your best foot forward locally to increase your traffic and boost rankings to get better results. Local SEO helps you to narrow down your competition to the local competitors hence increasing your success rates. How Much Should You Spend for SEO? The importance of the SEO: What range of tactics does it involve? Cheap SEO is possible, but what results may it bring? Why did I get banned by Google? Ways of SEO investments. Most business owners now realise the importance of SEO as an integral part of their marketing strategy. Higher levels of website traffic, better quality visitors, increased visibility, credibility and trust for your brand are just some of the benefits that SEO provides. Despite knowing that SEO is a crucial investment, many business owners have no idea how much they should actually be spending on it. If you ask an SEO company “how much do you charge” it can be difficult to get a precise answer. Usually the reply will be “how long is a piece of string” or “it depends”. This is because SEO is not a ‘one size fits all’ solution and the specific strategies and amount of work required can vary from client to client. SEO involves a range of different tactics SEO is becoming more diverse and there are a range of strategies required to make your website more appealing to the search engines. Crucial parts of SEO include a site audit, keyword and competitor research, selection of keyword themes, on page optimisation, content creation, link building and reporting. Some agencies might also offer social media management as part of the SEO package and the number of social channels they manage for you, together with posting regularity can also influence pricing. The size of your website and the competitiveness of your keywords will also contribute to the amount of work needed and hence the price you can expect to pay. If you run an e-commerce website with hundreds of different categories this will obviously cost a lot more to optimise than a website with a niche product in a small geographic area. A recent study by Ahrefs surveyed over 350 SEO agencies, consultants and freelancers around their pricing. 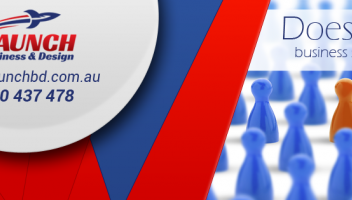 For the Australian companies, nearly half charged between $1000-2000/month for their SEO. Nearly one third charged between $2500-5000 and about 16% charged under $1000/month. Companies will also charge based on their experience and skill level. A highly skilled firm with household name clients will charge a premium whereas a freelancer just starting out will be willing to work for a lot cheaper. This was also evident in the Ahrefs study with 40% of freelancers charging between $250-1000/month. But don’t forget the old adage, you get what you pay for! A ballpark price for good SEO For a small to medium business, you should expect to invest between $1000-2500/month for a good quality SEO campaign. A reputable agency offering a comprehensive strategy will need to invest a minimum 10-15 hours a month to perform the necessary tasks to help your business rank higher. In the earliest months of a campaign, this will focus more strongly on: learning about your brand and target market site crawl and audit keyword and competitor analyses effective on-page optimisation setting up/configuring/integrating online accounts (Analytics, GMB, social media) And after the first few months, the focus will move more to: link building strategies content creation (improving existing pages, creating new landing pages, blog articles) reporting and monitoring That’s not to say you can’t get good SEO done for under $1000. In fact, there are agencies charging $500/month that will still do a good job. But a lot will come down to the amount of keyword themes you want to target and the level of competition for your niche. Beware of cheap and nasty Unfortunately, there are individuals and companies out there selling “SEO services” at very low prices. But as discussed above, there is a lot involved in providing quality effective SEO and these cheap companies will not be initiating a campaign that addresses all the necessary factors. Instead, they will be offering some basic services which won’t have much impact, or even worse, implement low quality or unsavoury tactics that could see you wind up getting banned by Google. On the surface, some business owners see these cheap offerings for SEO (sometimes as low as $100-200/month) and think that’s all they need to spend to get good results. But unless you are in a niche with incredibly low competition, this level of investment is going to see strategies that have very little impact – or even harm your brand. I’ll say it again, you get what you pay for! Measuring ROI Knowing if your SEO company is providing value for money is crucial to determine whether it is worth continuing with their services. At the very least you should be provided with a monthly report that shows: the rankings of your target keywords the amount of organic traffic your website is receiving If you’re targeting the right keywords, starting to rank well for them, and the visitors to your website are increasing, things are heading in the right direction and you should start to generate higher sales. Some companies will take things a step further and measure actual conversions. When a visitor on your website takes a specific action (such as filling out an enquiry form, purchasing a product, signing up to your mailing list or calling your phone number) this can be recorded. Using this data, you can see if the SEO campaign has resulted in increased leads for your business. How long should I invest in SEO for? SEO should be an ongoing process. Google is always changing, and a good SEO firm will ensure your campaign is adjusted to conform with the latest algorithm updates. They will also continue to enhance your link profile so that your domain authority (and importance in Google’s eyes) keeps growing. They will ensure your site stays optimised and new fresh content is added on a regular basis, another key indicator of a quality website. Many SEO agencies require a minimum 6-month commitment when starting a new campaign, usually because this is how long it can take to see the full effect of the SEO. By then you will have a good idea of the results you are getting. Other agencies will have no contract length but advise clients that SEO is a gradual process and you should have a 6-month vision before assessing its worthiness. Since you may not see results for at least a few months, it makes hiring a good firm even more crucial. Here are some tips that will weed out the less suitable prospects. ask questions about what you’re getting for your money; if they’re distant or cagey that’s a big warning sign ask for a rundown of the work you can expect to receive over the first 6 month ask for case studies of other clients they have performed SEO for A good SEO company should be confident answering all this for you. Transparency is the key in this industry and although a company might not reveal their exact secrets about how they will rank you on page 1 of Google, they should be able to provide a general overview of what they will be doing. Referrals are also a great way to ensure you are getting a good company. Ask friends and colleagues who have used an SEO firm about their experience and get a shortlist of 3 or 4 who have provided a positive service. Budget will also play a part in your choice but it’s important to remember that your website is one of the most important marketing tools for your business. Therefore helping potential customers find your site should be a priority if you’re wanting to be successful. How to Find Low Competition Key Running a company is constant work with a never ending to-do list such as getting in touch with suppliers, taking care of customers, liasing with the accountant, and so on. But you know that your site is vital, and increasing its audience is essential to expand your business. If you don’t feel ready to work with an SEO partner, you can start small and make your site profitable. With visitors. In this article I am going to focus on the content aspect of website management. To start with, I’d like to use a case study that I achieved with a very small website, of less than 30 pages, in the space of a year. What Is A Profitable Keyword? A keyword can be defined as 'profitable' when it drives targeted users to your site, the users you're looking for are the ones willing to convert. What a conversion depends on your business goals: a product direct sale (e-commerce), a newsletter subscriber (e-commerce or high ticket sale), a new lead via the contact form (b2b), the views of a number of pages (news online) - all these can be considered conversions that make your business grow. There is also a misconception you need to consider. In the past you were looking to rank for a very specific keyword - e.g. : "buy red dresses online" or "send flowers online" -, nowadays Google recognizes the topic of a page, even if the terms you search don't appear in the text. This happens because whilst analyzing a page, the algorithm can find out the topic of the content. What A Low Competition Keyword Is A low competition keyword is a term you can afford to compete for. Businesses are after keywords with high volume searches per month. This means that if a term is searched for hundreds of thousands of times per month, there's a very high chance many others are trying to rank in the top 10 Google listing. And this makes the work harder. Most of the times, the higher you rank the more users land on your site, and the more they are willing to convert (if you are a good fit for them). But you don't have to rank for any keyword. You want a user to land on your site if they’re interested in your content or products, and so support your financial growth. Traffic for the sake of traffic is something you shouldn't be after. These visits will not be a good asset for your business. How To Find Low Competition Keywords To answer this question you should start with the knowledge of your business. As I said earlier you shouldn't rank for any keyword but you should go after keywords that: represent part of your business represent a topic help your visitors to get involved with your business make your visitors engage with your content create trust towards your brand are likely to rank in the top positions have low competition Initial Keywords These keywords are called "seed keywords", and are the terms to start with. Your customer's language Your first asset for finding keyword ideas are your customers. You should analyze every touchpoint you have for an initial list. This means engaging with the sales team who engage with potential clients/clients and therefore learn their language, frequent questions and the terms they use to describe a certain product or service. This may not be the "right" language or the correct way to call your service, but it’s how your customers define them. Use all your resources: salespeople in the shops, phone calls, customers reviews, customers support email, online forums, email messages, etc. Your own website data Google Analytics doesn't provide keywords data anymore but another tool can, it's called Google Search Console. First of all, you need to set up it for your own site, wait a few days - 2 to 3 - to make the tool collect the data. Then you go on "Search Analytics" (or "Performances" with the new version of the tool) and analyze the keywords you rank for and their current position. The default data shows you a long list of keywords, the first filter you should add is your own country (e.g. : Australia) and then analysing each page ranking for some keywords. A broad list of words doesn't help much if it’s not related to a specific page of your site. You can follow this guide to learn more about Google Search Console. Direct competitors This is not commonly utilized. Use your direct competitors to learn more relevant keywords. Businesses you are competing with are a goldmine for collecting keywords ideas. You should analyze your direct competitors' websites and find out what they're ranking for. Since you are after the same customers, their efforts to improve their website can be very helpful to you as well, as they’ve already done part of the job! I'll explain this in more detail later. Your website internal search You should implement your site's internal search in Google Analytics, this is a no-brainer. Here you can find the words your current users are looking for on your website. This means that customers may be struggling to find what they are looking for such as a product, or they may just be lazy. From analyzing this you can (create and) clearly show the relevant page to your users? TOOLS YOU CAN USE Google Keyword Planner (free) Once you’ve defined who your direct competitors are looking at their pages and find the ones you're competing with. I'm referring to pages and not websites (which includes hundreds, thousands or hundreds of thousand keywords). Analyze the specific page your customers are after on their website so that you can compete with them. Let's use this page as an example: https://www.direct2florist.com.au/pages/valentines-day-flowers-48/ Go to https://adwords.google.com/aw/keywordplanner/home Insert a page you're competing within Google Keyword Planner Choose the relevant country-level parameters Scroll down the keywords list and note the most relevant related to your business Google Correlate (free) Google Correlate is a tool that can find keyword search patterns related to the current real-world search trends. With this tool, you can find terms related to your seed keywords which you wouldn't find with other tools. Go to https://www.google.com/trends/correlate/ Define the relevant country Insert your seed keyword Analyze the results Ahrefs: competitors' popular pages (paid / $7 for one week) Ahrefs is an analysis tool for SEO. It analyzes backlinks, keywords and trends. With this tool, you can see which keywords your competitors rank for and their most popular pages. Insert your competitor's domain in the Site Explorer bar Click on Top Pages Analyze their keywords to determine which good content you need to create for your website. Ahrefs: competitors page analysis (paid / $7 for one week) Insert your competitor's page in the Site Explorer form and click on Organic keywords. Filter the results so that you can find: Low competition keywords (0 to 2) Second-page results for that given page SEMrush (paid) SEMrush is a rival of Ahrefs, it gives you which keywords your competitors are ranking for, their traffic trend over the last few years and their paid activity. Many features are very similar to Ahrefs but below I'm going to show you a different approach. What we want is to find some quick win keywords. The terms we are looking for are the ones with a good amount of monthly searches and a low number of search results. With this kind of keyword, it will be easier to make your page rank for these easy win keywords. Insert your competitor domain name in SEMrush Click on Keywords Filter the results You will not find a good fit every time, but when the keyword appears, you'll recognize it. TIPS TO CREATE NEW CONTENTS Now that you now have compiled target keywords, what is the next step? Analyze the current results! First, you have to determine if you can compete with your search competitors. Search competitors are the ones shown in the search results of Google. You have to be mindful of what kind of results Google shows. If your site is a content, magazine or corporate site and the results listed in the top 10 are e-commerce products, then forget it. What you have to look for is a search result which includes the kind of results you can provide. There’s no point trying to compete for a keyword whose content is entirely different from the current results. What are the top results? Once you’ve ascertained if you can compete for a specific keyword you need to analyse the current results in terms of: the kind of content, what the page talks about, the structure of the pages, photos and videos, ease of reading and formatting. Look at the top 5 pages to establish why Google considers them the best but also scan the second results page as you may find some hidden gems or potential new growing competitors. Answerthepublic (free) Once your keywords are defined, you need to write your content. A great tool is Answerthepublic.com. It shows questions and topics related to your keyword. Now you can write your page! For each keyword, you can now list different sets of keywords which you can use to comprise each paragraph of your content. Through utilising this strategic method you will be able to rank for a larger set of terms related to the main keyword, or your topic.